Reliant makes moving easy – click here to to get started. 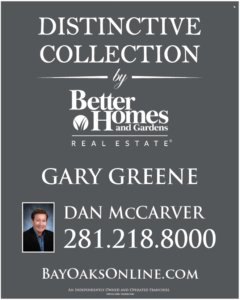 Dan McCarver is a native Houstonian and a second generation Realtor. Licensed since 1977, Dan is familiar with Clear Lake’s finest neighborhoods, and focuses on the golf community of Bay Oaks. He has handled over 500+ transactions in Bay Oaks since 1998.